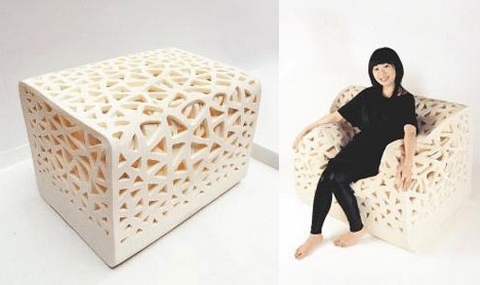 A Chinese designer has invented an armchair that doesn't look like an armchair until you sit down on it. When not in use, it looks like a foam cube, and that's because it actually is a foam cube! Of course, it's not just a plain cube of foam, it's special technology is in it's special cuts that give the "tofu armchair" its unusual properties. Would it feed into your own interior? Share your thoughts by commenting to this post!